Having trouble creating quick quality content? Take a look at these useful tools! You may remember from a previous post, how important producing visually appealing content continuously is ESSENTIAL to success on Pinterest. Below are some useful tools you can use to quickly make images that get people pinning. First, make your camera photos gorgeous! One of the easiest ways to create visual content is through your handy-dandy phone camera, but as we all know these images are not always the best. My favorite phone app to use for editing photos is Wood Camera. 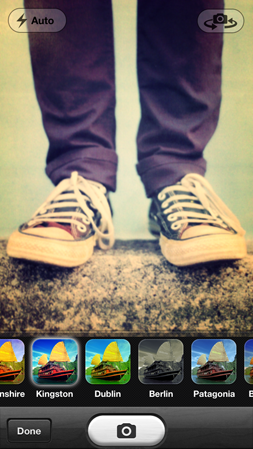 I have used this app almost since it was first created and it surpass the ability of Instagram by far! There are numerous more photo filters to choose from and the reviews of the app speak for themselves as the app is currently the #1 paid app in the Apple App Store, not just in the Photo & Video category. Yes it is a paid app, you heard correctly, but it is worth every penny! 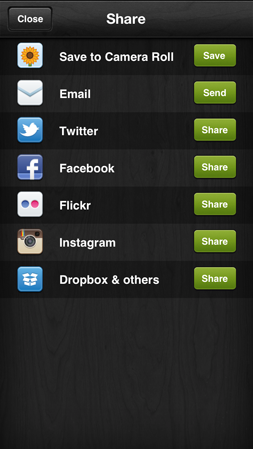 Being able to use these apps on the go is great while you are out and about, yet want to promote as well. Having this ability at events you are participating in could be priceless because I guarantee almost NONE of your competitors will be savvy enough to be promoting while at the event with visually stunning images. Next, add words to your images! For this feature I have 2 apps that I will recommend, for both are great and it was hard for me to choose between them. Let's start with the first one I fell in love with. Type what you want to say. Select the fonts and edits you would like, such as color of font, size, etc. Move the words where you would like by dragging them with your finger. Then save and share to your platform of choice, whether that is your phone, social media, or wherever you prefer. Over again is a paid app, but it does have a free version if you would like to try that out first. Now go create and post your visual content! 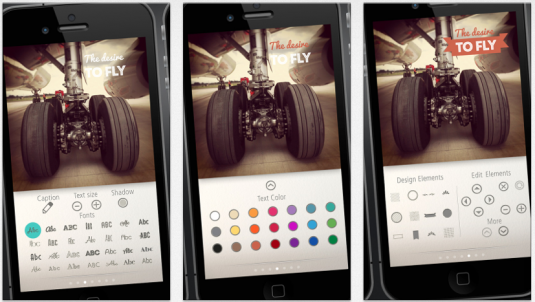 With the use of these apps you will be able to create gorgeous images in no time. But the key is not to create tons of images, but to create ones with purpose that will drive your content and brand. The end goal is to build awareness and ultimately sales through Pinterest and your other social media platforms. So make your images count. Make them appealing, then add words to describe to people what the image is, how they can get the product in the image, the sky is the limit. Just make sure that you do not go crazy with sales commentary and make the image sharable. The simpler you keep it the better. You are pinning...but are you getting the results you want? Last week I mentioned that to be successful on Pinterest that you must be able to produce appealing visual content continuously. The infographic below (from Pinnable Business) is great insight in how to optimize the images that you are creating and pinning. You don't need to spend a ton of time on Pinterest, make your efforts worth while and take the advice below to heart when creating your social media strategy. If you need help developing your social media strategy, contact me to get started. I love how this infographic spells out the steps you need to take to be successfully pinning. Spend some time uploading your own pins. Make sure to edit the pin after you have uploaded it to drive traffic to the relevant pages on your website. Also be sure to name your images accordingly as the title of the image becomes the default comment on the pin. Remember Pinterest is a social media platform, don't be all about you and all about sales all the time. Make sure to favorite, comment, and repin accordingly. Make the names of your Pinterest boards keyword rich as people can search the titles, but don't overdo it. Videos can be pinned on Pinterest. Google does take Pinterest into account for search, therefore make sure your pin descriptions are relevant and descriptive. If you are having trouble viewing this infographic up close, click here or the link at the bottom. Pinterest recently released it's own analytics for businesses to be able to track the activity on their pages. You could almost call this the Facebook Insights of Pinterest. Here is a great little video from Pinterest explaining their new feature. What features are included in the analytics? Track the traffic coming from your website to Pinterest. See which pins get the most repins. View who is pinning from your page and what else people pin alongside them. How do you get the new Pinterest Analytics feature? In order to view the new Pinterest Analytics, you must first have a business Pinterest page. If you have not done this yet, you can convert your profile here or view our previous article on how to create a business page. The next step you must take is to verify your website. By doing this, Pinterest is able to track the pins from your website and give you the analytics you need. In order to verify your website you will need access to the back-end of your site. If you do not know how to do this, you may need to contact your web host. This process can be a bit tricky, it took me a few tries to understand how to do it, so do not feel discouraged. Now you have set up Pinterest Analytics, but how do you view it? Simply scroll up to the top of your screen and hoover over your account. The drop down will appear and you can then click on the "Analytics" tab. Once you have clicked on the tab, you then have the ability to see the analytics from Site Metrics, Most Recent, Most Pinned, and Most Clicked. You can even export these stats for your own analysis. After looking into the Pinterest Analytics, it is clear that this tool is very useful, especially for those that get a lot of business from Pinterest, such as e-commerce websites. The main limit that this tool has is that it simply shows you the analytics of the pins and repins of your own website content. It does not show you the most repined and interacted pins that come from other people's sites and things that you have repined from others. Now why is that important? Well I don't know about you, but the majority of my pins do not come from me, but are repins from things I think are relevant for my customers. Wouldn't you like to know the analytics on those pins? After looking around at other analytics tools, my favorite is by far PinLeague. Now this is a paid service, but they do have a limited FREE program available as well, which is perfect for those getting started. See WHO Pinned Content From Your Site. See which pins are driving traffic to your site. See HOW MUCH REVENUE Pinterest is driving to your site. See which users / affiliates help you generate revenue from Pinterest. Track COMPETITORS’ top pins from their domain. View top pins from your profile and filter by keyword, hashtag, category, board and more. Sort top pins from your domain (“Brand Mentions”) by metrics such as Repins, Likes and Comments. See which pins drive traffic to your site. Here is a link to their analytics. If you are serious about Pinterest, I suggest you take a look. Having the ability to track your pins is key if you are truly wanting to grow your page and increase your ROI through Pinterest. Of all the social media platforms, Pinterest by far has the greatest potential to bring actual sales through your door. According to Daniel Maloney of PinLeague, Pinterest creates more referrals per user and more revenue per referral than Twitter and Facebook combined and it is cheaper to obtain a Pinterest follower than gaining fans on all the other social media networks. To me the numbers are in your favor, which means it is time to take this platform serious. By tracking your pins, you are essentially able to trend spot among your following. You can see what they like from you and others, which allows you be innovate and change your strategy as needed to fit the needs of your customers. I don't know about you, but as a marketer this is extremely exciting. Knowing what the customer likes and wants can be a daunting task, but tracking pins allows you to see into the mind of your customer. It also allows you to see who your brand advocates are, which means you can reach out to them and gain valuable insight for your brand. Overall the new Pinterest Analytics tool is a great asset to businesses, but there is much room to be desired. Feel free to leave a comment below with any questions you may have about this new Pinterest feature. I would love to hear how you are liking it. Everyone knows the basics of Pinterest, but not many talk about what you should not do. ALWAYS have a relevant profile picture. There are 2 camps when it comes to this topic for Pinterest. You can have a profile picture that is your logo or have one that is the "face" or principal of your company to humanize the account. This topic of discussion goes along with all other social media platforms, but for Pinterest in particular, I feel it is best to have your logo. In the other platforms you can create background images to help brand your page, but with Pinterest, you just get the profile picture, so you want to make sure that people recognize your brand. If you have multiple social media accounts, I suggest having your profile picture be the same one you use on the other accounts. This way when people visit your page, they know they are interacting with a familiar brand. Unlike other social media platforms, Pinterest allows you to have an exceptionally long character length for your posts aka "pins." Each pin or repin can have up to 500 characters, but that does not always mean you must use all 500. According to Dan Zarrella of Hubspot, the pins that get repinned the most have a description length between 200 and 300 characters.In my opinion, I feel that you need to make your descriptions count, but you do not need to have a mini book in your descriptions either. You want people to repin and then visit your site, if you give them all the information they need within the pin description, they have no purpose to go to your site. Each description you all to your pin is searchable, almost like a mini google so optimize your pins so people can easily find your content. Pinterest did at one time support hashtags aka the pound symbol (#), which is heavily used on Twitter in their descriptions for people to search, but it has recently gotten rid of supporting hashtag searches with their new update. Because of this update it is not necessary to have tons of hashtags, nor was it before in my opinion, so for future reference do not go hashtag crazy. They only have a handful of boards--most of which do not correlate together. They have no description of themselves or website connected to their description. Low number of actual pins. Most of the spammers that have followed me fill this description, here is an example below. This particular spammer has 4,751 followers and is following 14,689. Starting a New Business Pinterest Account? Here's How! After your deliberation, between personal or a business Pinterest account, you may have decided that a business account was the best option for you. Personally I feel every brand that wants to be on Pinterest should have a separate business account and never use a personal one, but that is just my two cents. Read the article below for those that want to know how to start a business account. Click the link here to Join Pinterest as a Business. Fill out all of the information in the fields shown. Be sure to pick a username for your page that is relevant to your company, such as your company name. If that is not available, try shortened versions. Your username will aid people in finding you. ALWAYS upload a profile picture. This can be your logo or the face of your brand like the CEO or owner. I would recommend your logo, but regardless NEVER create an account with an irrelevant profile image. When you are pinning and people find you, your profile is the first thing they will see, so it must be relevant to your brand. If you already have a personal Pinterest account and wish to convert this account you may do so by clicking the "Convert" link at the top of this page. 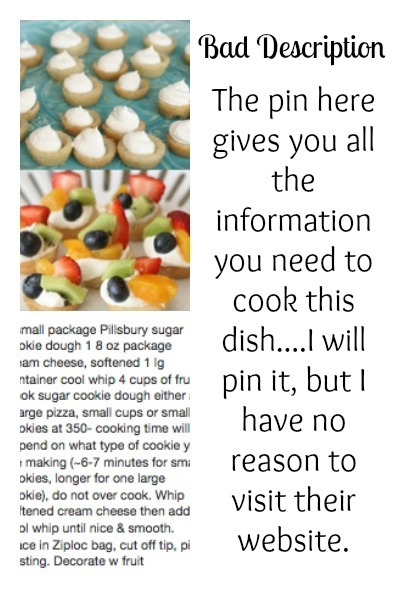 Pinterest will lead you through the instructions on the conversion. Once you have clicked the "Create Account" button, you will be asked to follow your first 5 boards. You can select boards to follow using the interests section on the left-hand side. Pick brands and people to follow that bolster your brand. Such as companies that provide information that your customers will value. Then click "Next" once you have followed at least 5 boards. You can of course follow more than 5, but this just gets you started. Once your first 5 boards are created, you are taken to your business page. Here there are 4 next steps for you to take. The first is to verify your website. This is one of the most essential steps, as only websites that are verified will be access to Pinterest Analytics (like Facebook Insights). Once you click on the button to verify, simply follow the instructions. You will need access to the back-end of your website to complete this process. The next button encouraged you to create boards. Now the first row of boards on your page are the most important, as they are the ones that your page visitors will focus their attention on. For me I would focus on your company, such as your products or your company culture in the first and/or second board. The rest of your boards can elevate your company brand and value to your customer. Pinterest frowns on pages who only self promote, so you must make sure that you pin and repin things other than from your site, such as boards of inspiration for your company and/or customer. The 3rd starting point is to begin pinning and download the "pin" button into your web browser. This will make it easier to upload pins from various sites you visit within your browser directly to your board without having to have the Pinterest page open. The last step is to add a "Pin it" button to your website. You can choose to use their system or you can insert a Pinterest "Pin it" button using a plugin on your website (most websites have the ability to configure multiple social media applications, including Pinterest). After finishing the steps, you are ready to begin promoting your account to your customers! Having a business page is great, but if no one knows about it, you are just wasting your time. Tomorrow I will focus on more advanced tactics that will help truly grow your page. But in the meantime ...Happy Pinning! I Want to Create a Business Pinterest Account, But Where Do I Start? So you have taken the time to analyze if you should create a business Pinterest account, now it is time to get started. First you must decide if you would like to connect your business to your personal account or if you would like to create an account for your business exclusively. Here are the pros and cons of both. You can connect your account to your personal Facebook page. By doing this you will be able to gain a following from your current friends on Facebook. If your brand and company revolves around you and you are the heart of the company, then letting people see a little of your personal life is not a bad thing. You will be forever connected to your brand, making the following you gather on your personal page, not be able to be transferred if you ever decided to sell your company. Your account will be customized for just your brand and for your customers, there will be no irrelevant boards as would be the case with a personal account. The account will be part of your brand and if you ever sell it will be able to enhance your brand and potentially increase the value of your company. Only business accounts will be able to have access Pinterest Analytics, similar to Facebook Insights, but for Pinterest (you must verify your account to have these, but it is very simple to do--that will be covered later this week). You will not be able to incorporate your Facebook friends to stimulate your following (Facebook can only be connected to one account, so if you already have a personal account you will not be able to connect the business page). You will be able to connect your company twitter account. A little more work will need to be done to start people following you since you cannot connect your personal or business Facebook accounts. Once you have decided which type of account is best for you, it is then time to start an account. In my opinion, any business should create a Business Account, even though it is a little more work to start, but to me the benefits outweigh the costs. But if you should choose to only have a personal account, you can create one here. Tomorrow I will cover the ins and outs of creating a business account, so stay tuned. Should You Add Pinterest to Your Social Media Strategy? One of the big questions I get asked as a social media strategist is, "Should I have a business Pinterest account?" Most clients question the ROI of Pinterest and whether it is worth their time. Below are a few keys to help you decide if being on Pinterest is right for you and your company. Do you already have traffic coming from Pinterest? The key benefit to companies being on Pinterest is increasing the traffic to their website. 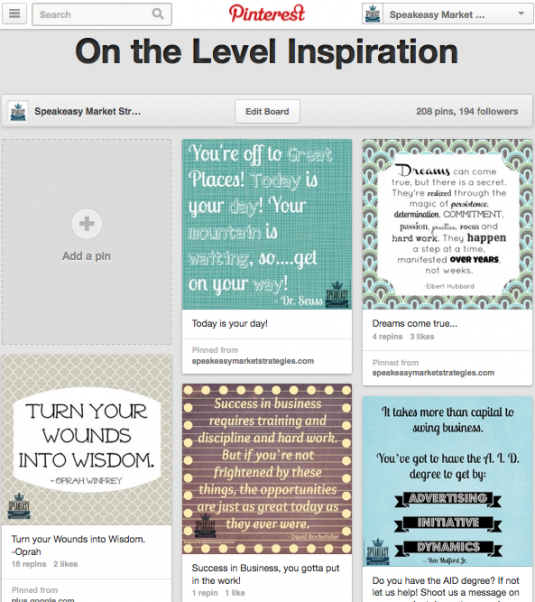 If you have appealing content that people like they will "pin" it on Pinterest. From there if the content is good and a product or service they want, people will "repin" the pin. Once your content is circulating on Pinterest, some customers may decide they would like the product or service that they pinned. When people click on the pin, they are redirected back to your website and potentially buy from your site. It see if you should be on Pinterest, you need to look at your current website traffic. This can be done either through Google Analytics or the back-end of your website. These tools tell you where your traffic is coming from and you may already have traffic coming from Pinterest. If you see a decent amount of traffic is coming from Pinterest, then you would likely benefit from having a business account. Do you have continuous high quality visual content? 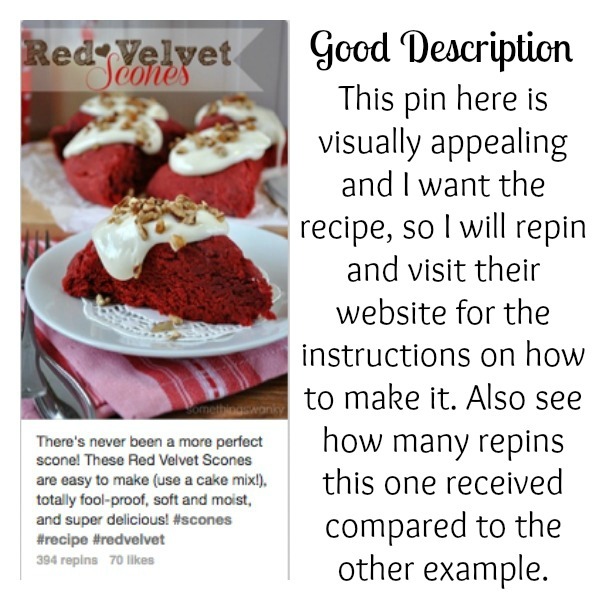 The successful content on Pinterest are the pins that are visually appealing. Whether you are in a B2C industry or B2B, those that have content that is appealing and relevant will see a ROI from Pinterest. Your visual content cannot just be promotional, but the content must be items that your customers would want to share and expresses them. This content can be photography, graphic design, or even videos. If you do have content that is visually appealing and you can continue to produce high quality content, then Pinterest may be for you. Do you have time for Pinterest? For the most part, all social media is labor-intensive. If you are running your own social media, you can either have a presence in all of the networks and burn yourself out or pick a few and do them well. All social media is not created equally and not all companies will see success in it; which is why it is important to understand who is using each network and pick the ones that best fits your company and customers. I always say if you cannot make the time for social media, it is best to stay out. Nothing looks worse to a customer than having a social media platform that has not been updated in months, let alone years. It is my opinion that if you do not have the time, then do not mess with it. But ifyou do not have the time, but know it is right for your customers and you answered "yes" to the 2 previous questions, then perhaps it is time to think about hiring someone to manage it for you (insert self promotion here ;). Pinterest is a great tool for driving traffic and creating and displaying your brand, company culture, and products. If you already have social media traffic, have strong and continuous visual content, and have time or cash to devote to this platform, then Pinterest is a good choice for your company. If you need help getting started or are looking for someone to help teach or manage your social media, take a look at my social media services. If you don't find what you are looking for, shoot me an e-mail at Kersten at Speakeasy Market Strategies.com. Click the “Contact Us Now” button to get started. If you would like a sample of the ideas we could generate for you, click here for a free digital marketing report, custom-made for your company. I also do have consulting available for you to purchase to get one-on-one help from me to kickstart your next, project, company, idea…the skies the limit. Click here for more info on those services.